IntelliTect partners with Compassion International to bring basic life needs, education and counseling to children and their moms around the world. 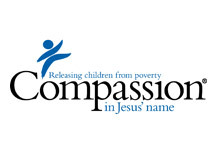 Some of our employees have chosen to join Compassion International’s worldwide child-sponsorship program that matches families with a child in poverty. These employees trade letters, pictures and special gifts back and forth between themselves and their sponsor children. As a company, IntelliTect has been the sole sponsor of two of Compassion International Child Survival Programs in sub-Saharan Africa since 2011. These Child Survival Programs combat the high rate of infant mortality by teaching skills and strategies to mothers and families so they can raise their infant children successfully. 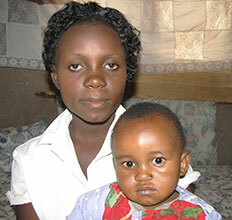 These programs also provide necessary food and materials to help ensure the health of these very young children. Moms love their kids. We are proud to provide resources so Moms can spend more time loving and less time worrying. Specifically, IntelliTect provides the funding for the PAG Mtwivila Child Survival Program in Mtwivila Iringa, Tanzania and Emmabwi Child Survival Program in Emmabwi, Kenya. Combined, these programs give training and material resources to more than 75 Moms and 80 children pre-natal through age four. In 2014, IntelliTect is excited to fully fund a deep bore well at the Magu District Child Center in Tanzania. This well will provide a reliable source of clean water to the local community as well as the Compassion Child Center. The well can provide up to 25,000 gallons of water per week and well eliminate the danger of water born diseases for the people of this region which will literally save The well is designed to be locally maintained with maintenance funded by sales of water at reasonable prices to the local people. This well will literally save the lives of people in this region and will save hours each day for the women and children who currently walk miles each day searching for clean water. We are proud to partner with Compassion International’s Tanzania office to bring this life giving gift of clean water to the Magu District of Tanzania.